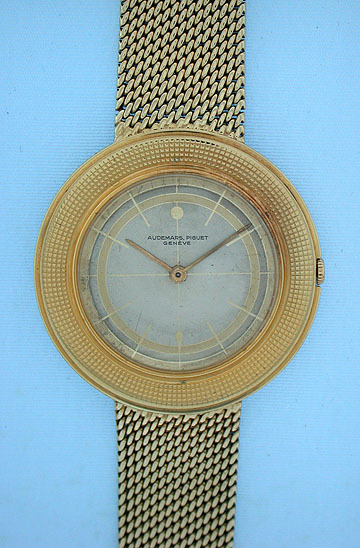 Fine Audemars Piguet ultra thin gold vintage wrist watch with gold band circa 1958. 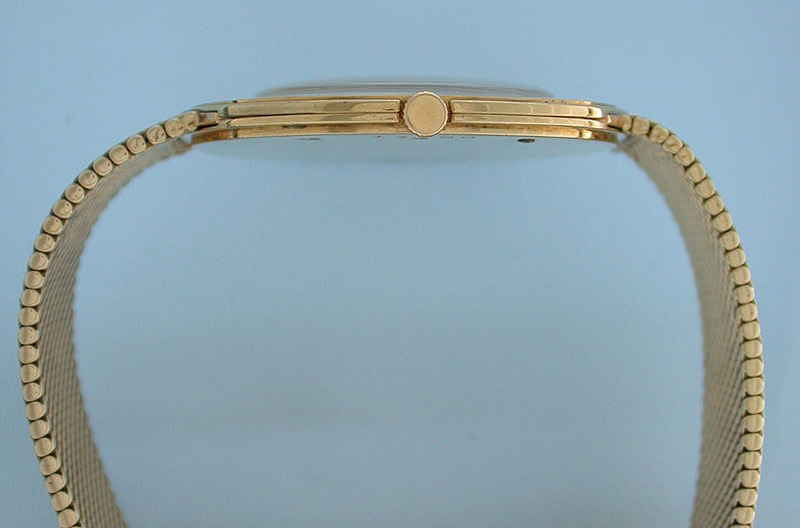 The 18K gold watch body with hobnail bezel. 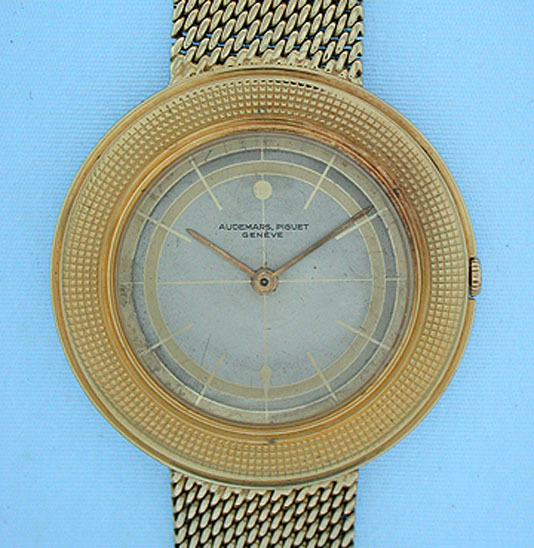 Original slightly faded two tone dial with gold hands. 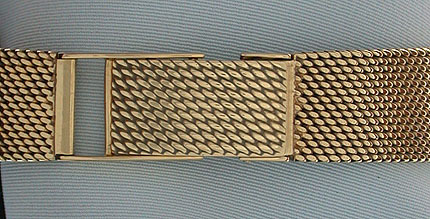 Mesh band is 14K gold, and appears to be custom made and original and may be removed and replaced with a leather band. Calibre 2003 17 jewel 5 adjustment movement. Overall length 7.25 inches.